Keeping a garden looking amazing all the time can be a full time job in itself. If you want to enjoy yours but lack the time or enthusiasm needed, then you’ve come to the right place! 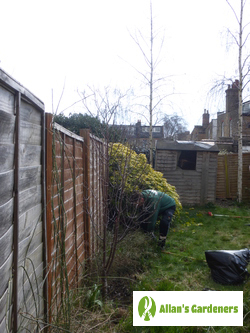 The Greenwich SE10 garden maintenance pros will use their years of experience to tackle any chores that need taking care of in your outdoor space. You can book us for a clean-up of your garden at home, the redesign of your outdoor space at work, or the regular maintenance of the gardens of your rental properties. No job is too big or too small for the experienced team, so contact us today for your free quote. Why Do We Only Hire the Most Experienced Staff? Simply put, because we know the importance of providing the best experience to you, our customers - having a team that's full of friendly, hard working and fully insured garden care specialists makes this easy! What's more, you'll never see us using anything other than best tool on the market for any given task. The tree surgery team for example, only use the most effective safety equipment and chainsaws. 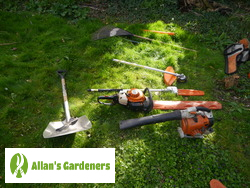 Contact us through our chat facility or fill in our contact form to tell us a little about what you're looking for and get a free instant quote from Allan's Gardeners in Greenwich SE10. Alternatively, call us any time on 020 3746 3128. Initially our helpful customer advisers will probably have a few questions to ask, just to get a better idea of the scope of the work involved before giving you a guide price. Go on to arrange an onsite visit where the finer details will be worked out. On your request, your gardening could start there and then. We also operate our services in neighbouring places, and can be ready to tackle your gardening jobs in any of these areas: Kennington, Lee, Lewisham, New Cross, Deptford.